Joanna Bruzdowicz Interview with Bruce Duffie . . . . . .
Joanna Bruzdowicz comes from a musical family: her father was an architect and cellist, her mother a pianist. Bruzdowicz started her musical career as a child prodigy when she began to compose at the age of six. Interestingly, she later dedicated much of her efforts to promoting music for the youth. She studied at the Warsaw Music High School, at the State Higher School of Music (composition with Kazimierz Sikorski and piano with Irena Protasewicz and Wanda Łosakiewicz); she earned her M.A. in 1966. She traveled to Paris to continue her studies on a scholarship from the French government and became a student of Nadia Boulanger, Oliver Messiaen and Pierre Schaeffer (1968-70). While in Paris, she joined the electro acoustic Groupe de Recherches Musicales and wrote her doctoral thesis Mathematics and Logic in Contemporary Music at the Sorbonne. After completing her studies in France, she settled in Belgium and established herself as a composer there. She recently moved to southern France. Bruzdowicz was amongst the Polish female students of the most famous teacher of composition in the 20th century, Nadia Boulanger. The group also included Grażyna Bacewicz, Anna Maria Klechniowska, Bernardetta Matuszczak, Barbara Niewiadomska, and Marta Ptaszyńska. Boulanger's advice was very firm and non-compromising: she insisted that composers have no right to self-pity or self-indulgence, but solely the right to work, work, work. This principle was internalized by her most talented students, such as Bacewicz, Bruzdowicz or Ptaszyńska, and expressed in their intensely focused work habits that resulted in the high volume and quality of their output. As a composer she devoted her attention to opera, symphonic and chamber music, works for children, and music for film and television. She wrote four concerti and numerous chamber pieces, as well as over 25 hours of film music. Her compositions are featured on 12 CDs and over 20 LPs; she has been featured in TV programs produced in Belgium, France, Germany and Poland. 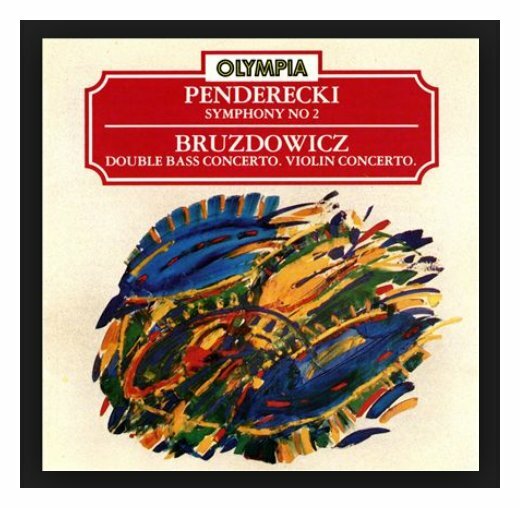 Bruzdowicz's music has been praised for its "poetic palette of sound" and its qualities of being "ultramodern and refined" while remaining expressive and personal. Her output includes several operas which brought to the stage some of the greatest works of European literature (e.g. The Penal Colony, after Kafka, 1972; The Women of Troy after Euripides, 1973; and The Gates of Paradise, after Jerzy Andrzejewski, 1987). Bruzdowicz was the only Polish composer and the only woman selected to the final round of 12 composers who were invited to create a new Hymn for the Vatican (a French composer won). Her Stabat Mater written in 1993 for a special ceremony held at Forest Lawn Memorial in Glendale, California (unveiling in a restored theatre Jan Styka's monumental panorama of the Crucifixion, commissioned by Paderewski) was attended by the representatives of the city and county, and the Polish government, among over one thousand guests. This choral work is dedicated to PMC founder Wanda Wilk. 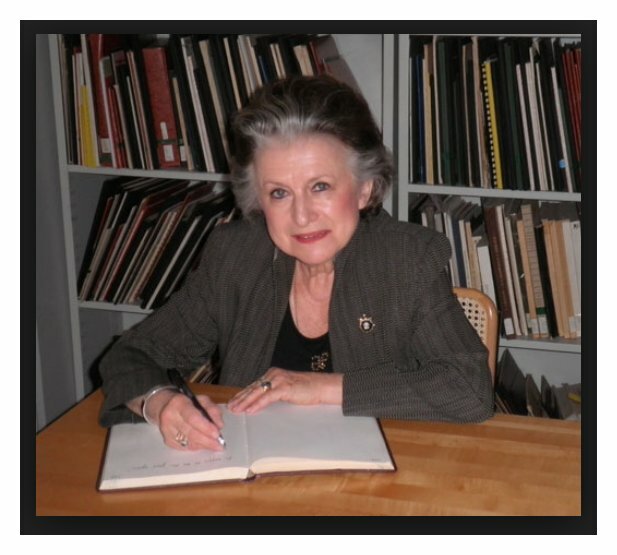 In 2001 Bruzdowicz received the highest distinction from the Polish government—the Order of Polonia Restituta—for her contributions to Polish culture. Promoting Polish music is her passion and she has produced hours of radio programs devoted to this subject for radio stations in France, Germany, Belgium, Italy, Spain and the U.S.
She is a co-founder of various musical organizations: Chopin-Szymanowski Association in Belgium, Jeunesses Musicales in Poland, GIMEP in France, and International Encounters in Music in Catalonia. 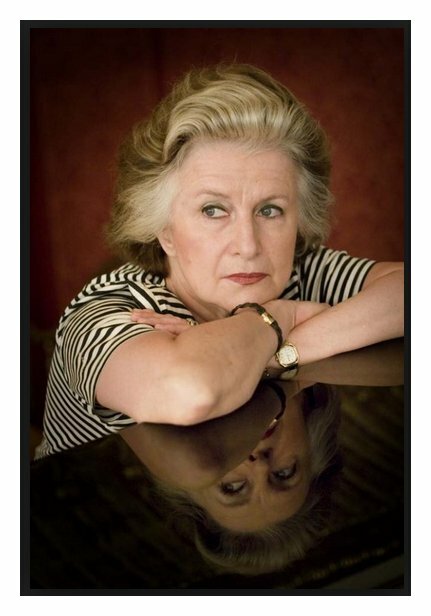 Thanks to her efforts, numerous Polish composers received their first performances in Europe and the U.S. One of her most notable projects was a special concert held in December 1985 during the Year of European Music; the concert was devoted to the "forgotten Europe," that is its Eastern part. The Belgium Radio Orchestra performed works by Szymanowski, Shostakovich, Dvořák and Bartók. A live recording from this concert was reviewed across Europe. 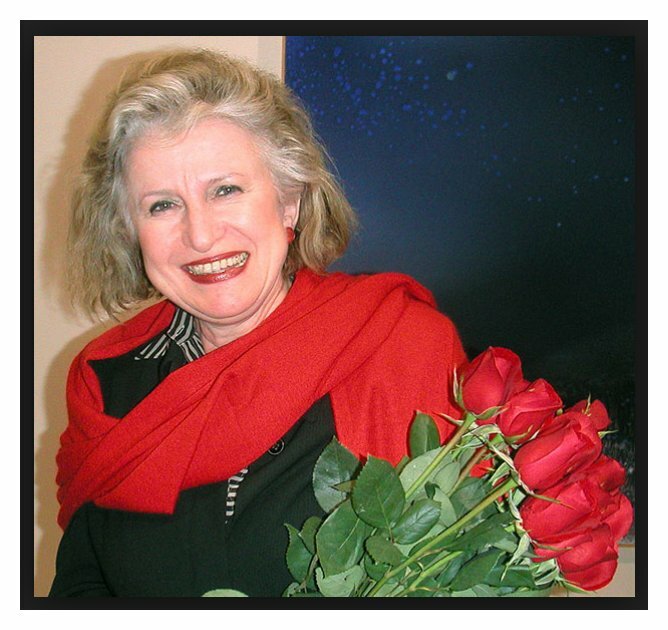 Active as a founder and board member of the Polish section of Jeunesses Musicales, she is also founder and President of the Frederic Chopin and Karol Szymanowski Society of Belgium, and Vice-President of the International Federation of Chopin Societies. Joanna Bruzdowicz was the second composer to offer her manuscripts to our collection; she was preceded in this sign of generosity only by Witold Lutosławski. The manuscripts of her works were included in the Manuscript Exhibition held at the PMC in October 2000. In May of 1991, Joanna Bruzdowicz was in Chicago for performances of one of her works. She was particularly gracious to take time from her schedule for an interview, and here is what was said . . . . .
Bruce Duffie: Is it special for a Polish composer to have a piece played by the Chicago Chamber Orchestra? Joanna Bruzdowicz: Of course, because Chicago is the biggest city with the biggest Polish population in the whole world. [Laughs] But not only because of Polish-origin Americans, but especially because Chicago is one of the most interesting cities in the United States. It’s my feeling, but I think it’s a feeling of many others, too. JB: Yes, in everything. It’s one of the most beautiful cities. It’s a wonderful city. It’s a mixture of everything. It’s a mixture of people of many, many origins. Not just that I am very proud to be from central Europe, but I think it’s a central European culture dominating Chicago, with a lot of Polish, German, Italian, and many others bringing a whole culture for everybody. This mixture shows the interest for culture coming from this part of Europe to be involved in art and music atmosphere. BD: You’re a composer and teacher. How do you divide your time between those taxing activities? JB: Oh, my goodness! I have still much more jobs, because I’m also writing the theme scenarios with my husband together for my last opera. I’m preparing a new opera and we have written the libretto. I am also teaching as a guest professor in many, many summer programs at universities. So it’s a lot of work, and with family life and children, it’s much to do. But it’s possible. BD: Too much to do? BD: I assume that your main emphasis most of the time is the composition of music. BD: Is that when it becomes mostly technique and less inspiration? JB: Of course. I have to be honest that sometimes the technical part is important so I can do it very quickly, because if not, it’s not possible to assume so many different kinds of film music. But the inspiration is coming always with the date of the future concert, or the date of some new production. BD: You have a deadline, and that’s it? JB: Yes, exactly. I am sure that even in the very old past history of music, it was the same thing for Bach or Mozart. It was exactly the same problem. Without a date for the concert, they were very lazy to write. BD: Perhaps instead of deadline we should call it a liveline, because that’s when the music starts at the first performance. JB: Sure, and it’s incredibly important for the composer to be there when the music is played the first time. Not that we can’t hear it before it’s played, but the part of interpretation is very important for every work, and it’s always a very big lesson for the composer to hear his own music with this touch of another person. BD: Are you ever surprised at what you hear at the first performance? JB: Sometimes, because I am always sure that everybody understands my music as I understand it, but it’s not always like that. It’s also very many good surprises... not always, but often. BD: Let’s talk specifically about the piece which the Chicago Chamber Orchestra is going to be performing. Tell me about this work. BD: You’ve had good success with this piece already? JB: Yes. It was played the first time and commissioned by Festival of Polish Music in Poznań in Poland in ’89, and since this concert it was played twice in Bogota, in Colombia. It was such a big success that they opened a second Festival of New Music in Bogota. It was played in Yugoslavia at the Festival of Zagreb last year with a chamber orchestra from Zagreb and soloists from Yugoslavia and a Japanese conductor. Then it was done in Canada in Montreal, with I Musici directed by Yuli Turovski, with the same soloists as in Poland. Then with the same soloists it will be played in September in Brussels, and in September the piece will be played in Australia, in Brisbane. They are organizing three days of my music. BD: Is this comforting to have your music travel all over the world? JB: It’s wonderful. I have to say I have many, many performances since I started to compose, but now it’s going very quickly for me. The whole career is opening in other continents even much more, and it’s very interesting for me to hear my own music played by several nations with several style of interpretation. BD: Does each nation bring its own slant to your music? JB: Sure. Yes. I am very sure that in every country you have special style of interpretation, and it’s wonderful because everybody is bringing something new. There are several techniques to play, even with the same ten fingers but completely different way. It’s very interesting. BD: When you’re writing a piece, do you build in a little bit of an area for interpretation? JB: Yes, but I never make improvisations in the pieces. Even in my time of research when every composer made them, but I leave a big part of liberty for dynamics and feelings of the interpreter inside the music. It must be left for him to have his way of interpretation. It’s always good to be free. BD: When you’re coming to the first performance, do you try to direct their ideas and their directions any more than what’s on the page, or do you basically let the performers get on with their work? JB: Some part of interpretation must be done like it was written in score. This means some tempi, some expressions. I have some ideas about by own music and I’m happy to hear it like that, so if I can give them some help in their choice of tempi, it’s very good. But I try to be not very tyrannical in this way. BD: When you’re working on a piece and you’ve got a page that has some notes, are you always controlling where those notes are going, or are there times when the notes find themselves and you have no control over it? JB: No, I always control. BD: Is it easy to control or is it often difficult? JB: It is often difficult, but it must be controlled. All music and all creation must be controlled by the brain, starting with this idea. We can reframe many things in interpretation, but the whole form and construction must be controlled, and I’m trying to do it very seriously. BD: I assume that you get a lot of commissions. JB: Yes. Now is especially the time of opera for me. BD: When you get a commission, how do you decide if you will accept it or delay it or turn it aside? JB: That depends on the musicians who commission the work, and the subject of the opera. For example, every composer has their preferred instrument or orchestral feeling, if I can say that. So if somebody asks me to write for accordion or for a harp, I’m always waiting a little because it’s not completely my preferred instrument. I want to find time to write a concerto for saxophone and symphony orchestra, because I love saxophone. BD: You like the sound of it? JB: Yes, and I’m using several saxophones in my film music all the time. I have wonderful musicians to play saxophone in Poland. They are really wonderful jazz men, and also classical musicians. So I dream to find the time and to write a concerto for one of them, but even without commission I’d like to do it. I have no time now. The most important works for me always are the operas. BD: Because they are the biggest? JB: They are the biggest and take the longest time, and are most the complex works because I have to agree with the text of libretto and be emotionally involved in the story. It’s important. BD: In any opera, where’s the balance between the music and the drama? JB: Opera must have a real balance with the story and words and dialogues and music. The music never can go over the text and story, because if you want to compose such symphonic music in opera it’s better to compose a symphony and not opera, or to compose oratorio but not opera. It’s a very big error of many of composers in this century to put too big an orchestra in opera, or too much noise during the very important dialogues. Then the public, the people are not interested about the story and they are also not involved in the music. Opera must be the total theater, with music and lights and acting and words and a real story so the public can understand everything. The explanation of many things is in music. It’s like a help for the story, but must not disturb the story. It’s important. BD: Do you help in fashioning the libretto? JB: Sure. My first opera was In the Penal Colony after Kafka, and it was a very odd commission for me because it was in ‘67 for the Wroclaw Opera, the National Opera of Prague. I was still living in Poland, and of course it was never played until now in Prague because of the political situation element. It was played for the first time in France, and then in Belgium, and now it will be played in Prague in ’93, and in Warsaw this year. In the libretto I changed things a little during my composition because some of the phrases were too long and in the second I took it apart a little more. It was The Women of Troy, commissioned in France and the first performance was in France, in Paris, and then in Poland. It will be in London next March. Now I am completely involved in the libretto for my next opera, The Gates of Paradise. I had written the libretto after the very famous writer Jerzy Andrzejewski. We had written the libretto at first in French, because the first idea was to do it in Festival of Avignon in France. But in the same moment, the Warsaw Opera asked me to give them this opera as a premiere performance because the writer was Polish and I am Polish. So it was very important for them, and we changed the libretto into Polish. The novel was written originally in Polish also, so I had to change many things in libretto during this change from French to Polish. It was completely different. So my name as also listed as the librettist. JB: It’s a wonderful experience to write for human voice. It’s not easy, but I like it very much. I am also using the human voice in opera for speaking, in Sprechgesang, many, many different ways because, for example, in such a story like The Penal Colony you can’t only sing. It has so many important, very, very deep things to say, and sometimes you have to put them so clear in the conscience of public that it’s necessary to tell these things, not only to sing. So it must be all the time the fluctuation between Sprechgesang and song. But the human voice is an incredible instrument to play with. BD: Are you trying to stretch the possibilities of the voice with your writing? JB: Yes I am in many experiences like that, but not exactly in opera — not because it’s a conservative form of music, but with many, many actions and lights and stage work in whole presentation, the public has no time to understand the experience with voice. So it’s better to write a song or pieces with orchestra and voice for that. Then you can do many new things with voice. But opera must be more conservative, I think. BD: Are the concert music pieces and operas that you write for everyone? JB: I think so. I am happy to read about me sometimes in newspapers where they say that the people find this music perhaps not easy, but always open to all publics. For some people it is perhaps better to hear a piece twice to understand, but for example, the Four Seasons Greetings is very easy to hear. It was done especially with a very open mind and for the large public, so it’s much easier to grasp. BD: It is more accessible? BD: Are we seeing a reaction to this now? JB: Yes, because it’s very difficult to have a public for modern music. For example, when the modern pieces are inside of a classical program it’s good, but all those festivals of only modern music are very difficult for the large public. It’s a small group of connoisseurs that are always coming to see the new music. But I think such an experience is not very fortunate for music. We have now to repair many things. Now you see, for example, very modern composers from this period of sixty years suddenly return to 19th century ideas, and this change is dangerous because it’s a return to a completely other style of thinking and writing. BD: This is a mistake? JB: It’s not a mistake, but it’s dangerous to go back completely from one day to another without following some ideas. BD: Are you yourself resisting this change? JB: I have to say I never was in the super-modern group of musicians. This means I never cut the legs of pianos and such a things! I made many, many electronic music pieces because I studied in Paris with Pierre Schaeffer. It was for me some experience, and I used the tape as an instrument more in my operas. Many times you have a tape also with orchestra. In Women of Troy, the tape is like the echo from the old instruments from Greece and Troy. I imagined that they had this sound in this time, but I don’t think I changed it a lot. I’m sure with age it will become quiet for some of us, and perhaps deeper in some sounds of music, but I never completely changed my status. So I’m following in my own way. BD: Let me ask the big question. What is the purpose of music? JB: Hmmm. I think it’s one of the most important ways to say our feelings and to describe our world. The very important purpose of music is to say the things we can’t say with words. Many times when you see the political change in many countries, only musicians were able to be free in art because it was too abstract for the government or tyrannical power of those countries to understand what they are saying in music. But the musicians always thought many things in music, even if it was only a symphony without title. The music said many things. So, I think it’s our responsibility, and we have to say what we are hearing and seeing in our world, to be involved in the problems of society. BD: Is music itself at all political, or is it just a reflection of the politics of the time? JB: It’s only reflections, but it can be political. It becomes political in this moment where the composer is involved as a person, and so his music is considered also as a reflection of his soul. If you see some big symphonies or operas from the past, now they are sometimes symbolic and also political. Music and art in general are very important arms against many things. We can make errors and be on the wrong side also, but that is not so often. JB: I think, yes. Even with this overpowering of folk music and everything else in the pop field, we have many very talented musicians. We can’t close our eyes and say, “Well, it has nothing to do with our music and so we cut it out.” It’s not possible. Also film music and all music we hear, they are the voice of this time, and we have to try to let them, sometimes, do better and better and not become too primitive and too easy. But it’s very good at this moment, especially because of the high technology and all those CDs and tapes. And we can have a contact with other musicians so quickly now. It’s wonderful! BD: Quite a number of your pieces have been recorded. Are you pleased with the recordings that have been made of your music? JB: Yes. With many of them I’m really very happy. I have now many, many LP records, and this year I will have many others coming out. Even in the United States I have gotten really wonderful reviews, and they are very well known in Europe. BD: When you’re working on a piece of music, do you have just one piece going at a time, or can you work on several things at once? JB: No. It was always my idea to finish one thing and to start another. I am thinking about many things sometimes in the same moment, but I am working on one piece, and when it’s finished I start with something new. BD: Do you ever go back and revise the scores? JB: Not too often. Once I was obliged to do it with my First String Quartet because Agnes Varda, the French film director, wanted this quartet as music for her Vagabond film. It was a very famous film winning the prize of the Los Angeles Film Critics as the best foreign film. It also won the Golden Lion in Venice. Varda had 35 or 36 records with string chamber music from 20th century, and she found my string quartet. So she asked me to write fifteen minutes of variations because she made a choice of many fragments of this record. But she wanted more music for special places in her film, so I was obliged to return to my string quartet and to write it. I was not happy because I hate to return to something which is finished. I am so happy to finish a work and to close the score and just pass it along and have it performed. BD: Would it have been better to simply let that string quartet go, and just write a new work for string quartet? JB: But she wanted exactly this music, and she wanted some variations. She is very much a musician, so it was special kind of variation about several moments of my quartet. BD: Then she knew what she wanted? BD: Other than this instance where you had to return to a work, is composing fun? BD: Do you have any advice for young composers coming along? JB: The most important lesson to give is to be themselves. This means when they like to write very classical music, they have to do it, and when they want to write some for one instrument and not for another, do it. The most important thing is to keep your own style, and to be free to explain things. If you follow some schools, in every school you have the rules and the obligations, and after a short period everything is changed and they never get back in the original way. So it is better to be freelance and to be alone. BD: You do not feel isolated? JB: No. I am not isolated, but I never wanted to be in some school culture, or a poly-school, or a Pierre Boulez school, ever. No. JB: I’m in the same family of feelings as composers such as John Harbison in United States, a very good friend of mine. He’s very easy to understand. [See my Interview with John Harbison.] When you hear his music and my music, I think we have many similarities in views and feelings. It’s very funny to see it. In Europe I also have some composers very close to me, and another who is a complete stranger. So I am not alone, but I am also alone at the same time. BD: Do you have any advice for audiences that come to hear your music, or any other new music? JB: Everybody has to tell himself that it can be a new experience. As musicians, we try to be clear in our ideas, so if something is not yet very close to the public, you have to hear it a second time and then everything is clear. And like in every style of music, if somebody doesn’t like something, don’t be ashamed to say, “It’s not my cup of tea.” For example, I’m not very enthusiastic about Renaissance music. I know it’s a very important part of music, and some pieces of Renaissance music are beautiful for me, but I prefer much more the Baroque music and the twentieth century’s music, with romantic music, perhaps, in third place. So for everybody the choices are varied. Even in the same century, you have your preferred composers, and in modern music it is the same. Don’t be ashamed to say, “I like very much Messiaen, but I don’t like Boulez.” Even though he is very well known, it is not necessary to like him. BD: You worked with Messiaen. What did you learn from him? JB: It’s not possible to learn to compose. You have to be born with this talent. We can learn only the orthography and the grammar in music, to learn how to write for certain instruments and how to orchestrate without making a big fault. But I learned from him to hear the music and to hear the voices and noises around us in this very special way. Because he’s a very big painter in music and his music is very colorful, it has plenty of feelings in artistic and visual ways. So I learned with him to hear the orchestral music like a chorus, and to hear the instruments also like voices of nature. It was a very interesting experience, very good for me. BD: Thank you for coming to Chicago and sharing your music with us. This conversation was recorded in Chicago on May 7, 1991. Portions were broadcast on WNIB in 1993 and 1998. This transcription was made in 2014, and posted on this website at that time.